I think this has to be my favourite nature craft we have done with the kids at Forest School. It’s so easy but looks so pretty, this is a kids craft you want to hang up at home! Then simply place the material on the scrap paper (this is so it does not get dirty underneath when you hammer it). Lay the petals out on half the material and fold the other half over so it’s like a petal sandwich. Then get hammering! You will see the colour start to show though, you can lift it up to check on it if you like and hammer some more if you missed any bits. Once done, pick the remaining bits of petals off and hand on a stick with wool or ribbon. This is such a lovely idea and a really beautiful outcome. 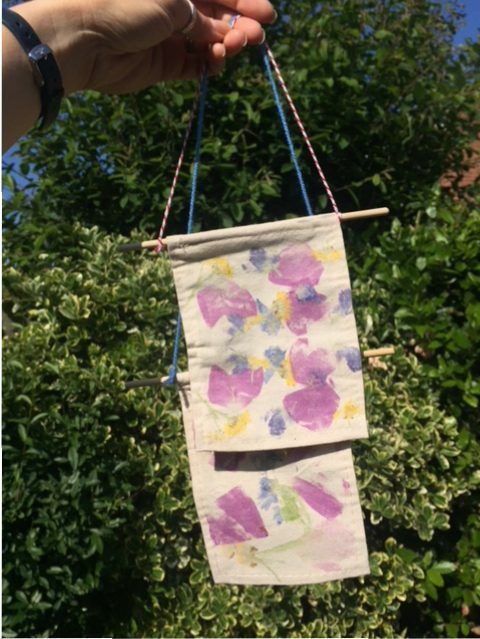 I’m going to try this with my kids at home over the summer, we’ve got some plain tote bags that might look lovely jazzed up with this technique. Thank you. 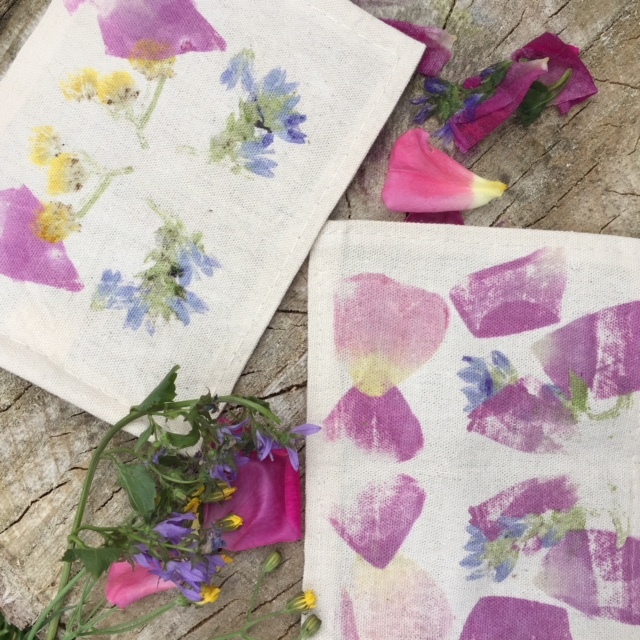 Hi Diane, The first batch we did as examples for Forest School are now 3 months old and although faded a little still look fab. We do have some more that used diffrent flowers and the colour was a lot stronger so i think they will last better. For the long term i think sealing them would be a good idea.